Stephanie Brandt Dipl.-Ing. 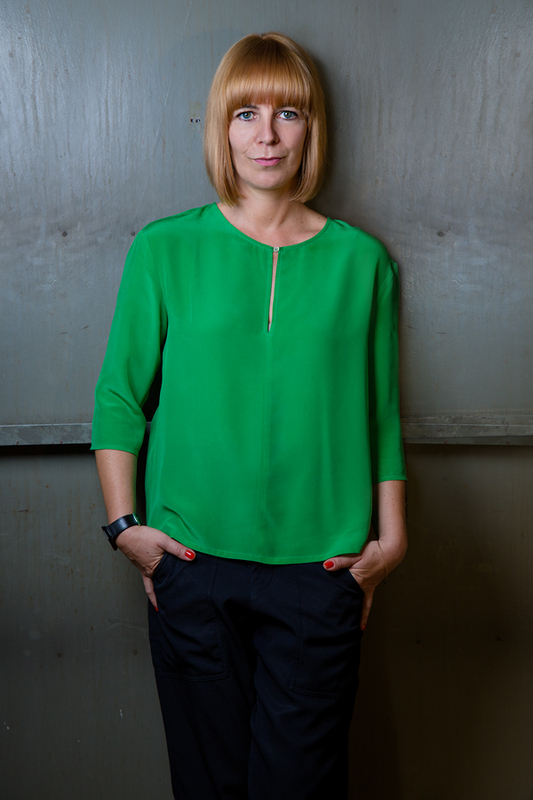 MArch Architect AKNW is Head of STEPHANIE BRANDT Studio and founder of SPACEPILOTS. Her international work as an independent urban thinker, strategy consultant and scenario designer focuses on how our environments are shaped by narratives. Stephanie has advised public organizations and industries and has initiated a wide range of projects on narrative design strategies, places and stories, auditive architecture and cross innovation. In 2012, The European Forum for Architectural Policies (EFAP) named her one of Europe’s Innovative Practices Of The Year. Stephanie Brandt has been trained as an architectural draftswoman and then studied architecture at the Polytechnical University of Wuppertal, Germany where she completed her diploma with distinction on the topic of Spatial Consequences of new Organisation of Time in 2000. 2002 she received her Master with distinction from The Bartlett School of Architecture, University College London, UK. Focus: Non-Places – Urban Transit. Upon graduating she became tutor at the same master course at The Bartlett and started to formulate first ideas of how to adopt cross innovation and experience design methods as tools within the built environment. This brought her to work as senior lecturer and course leader of 1st Year architectural and interior design at the Nottingham Trent University, UK between 2004-2007. From 2007 she also worked as an independent in-house consultant for Richards Partington Architects, London and as an associate lecturer at the interdisciplinary Master Course, Creative Practice for Narrative Environments, at Central Saint Martins College, University of The Arts London, UK. In 2007 she also set up her own practice; and later in 2008 she founded SPACEPILOTS, a creative, collaborative platform of architecture and urbanism. Between 2009-2012 she started to formulate first thoughts based on interactive as well as auditive cityscapes as part of the international, interdisciplinary research platform (Inter)Sección, The European University Madrid, ES. As a follow up she created and curated a lecture series and podium discussions together with Carol Mancke on Living Landscapes for The Building Centre, Store Street, London. An essay under the same title will be published by Springer Publishers in early 2014. 2009 and 2011 she has also been invited to teach on the same subject as a Visiting Professor at the Department of Advanced Studies, The Ion Mincu University for Architecture and Urban Planning in Bucharest, Romania. The Right to The City, Conference, Sydney, AU; Sensory Urbanism, Exhibition, Glasgow, UK; Making use of Culture, Conference, The University of Manchester, UK; Ethics and the Professional Culture, international Conference, Cluj-Napoca, RO; Architecture and Phenomenology, international Conference, Technion – Israel Institute of Technology, IL; 6th International Design & Emotion Conference, The School of Design, Polytechnic University, HK. The Bartlett School of Architecture, London; London Metropolitan University; Central Saint Martins & Chelsea College of Art & Design, University of The Arts London; Greenwich University, London; Nottingham University; Kingston University; RWTH Aachen University, Germany. Currently she runs a design studio of design innovation at the AIB, Bonn, Germany.